I have seen this called a "viking catapult", based on how it is made up of rods lashed together. The skewers model tree trunks, the elastic band models rope and animal sinews. Clip the sharp tips off the bamboo skewers. Cut one of the skewers in half. Use an elastic band to secure three skewers together at one end. Use another elastic band to secure the other end of one of these skewers to two more skewers (at their end). 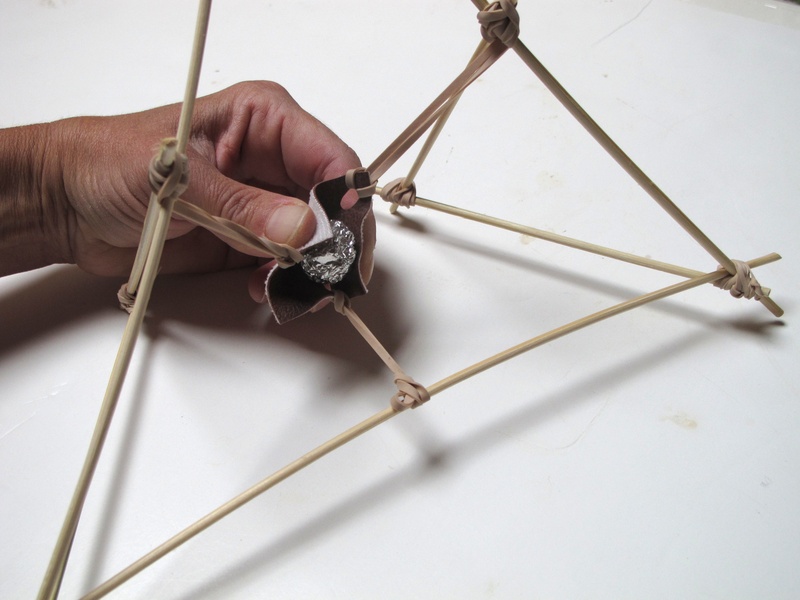 Take one free skewer end from each bundle, and bind them together - this should make a triangle. Take the last free skewer end from each bundle, and bind them together - this should make a second triangle. The two triangles you just made have one skewer in common. 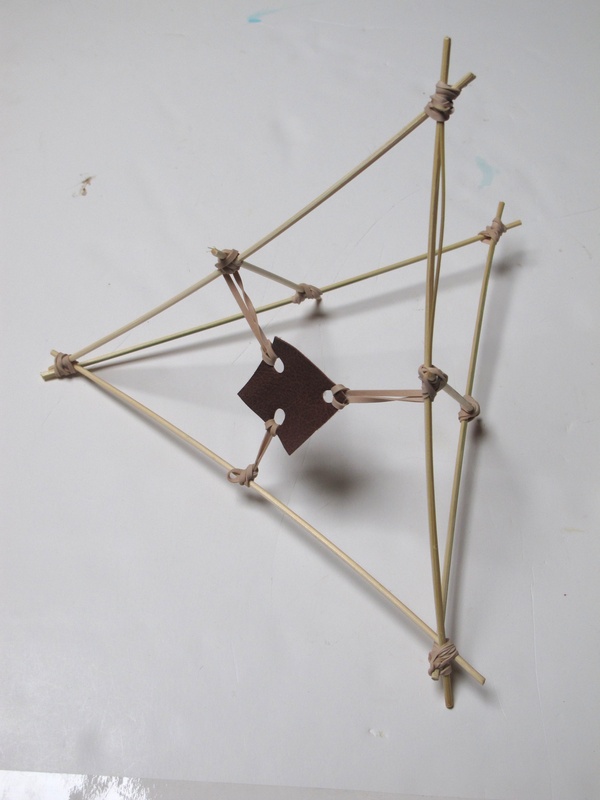 Hold the two triangles apart from each other and brace them open with the two short skewers, using elastic bands at each joint, as in the photo. Loop an elastic band through each of the holes. Two of these elastic bands can hook over the upright struts of the catapult. The third elastic band should be secured to the bottom skewer with one or two half hitches. Make ammunition from balls of aluminium foil. Hold the ammo in the pouch as shown in the second photo, then release. It should go several metres. Started this catapult in science club, but ran out of time. Too fiddly with the elastic band winding for grades 1 and 2.